In 2007, the US taxpayers were told that they were responsible for the negligent actions of several large banking institutions. They were told that in order to prevent “complete and utter chaos” from a banking collapse they must give the banking cartels hundreds of billions of dollars to “bail them out.” Despite an overwhelming majority of the public opposing this action, it was passed with bipartisan support in a matter of hours. The public was furious after being told that they are being personally held liable for the irresponsible acts of megabanks — and there was nothing that they could do about it. As so-called conservatives blast the welfare system for the negative incentives created by these programs, they remain conveniently silent when it’s huge and corrupt corporations on the receiving end of that welfare. From banking to farming to health care — megacorporations suckle from the teat of government at the taxpayers expense and the politicians in D.C. facilitate all of it. The problem with government subsidies for irresponsible acts by businesses is that it encourages careless behavior. One particular corporate welfare program has cost the U.S. taxpayers over three billion since its inception in 1988. Knowing the undesirable effects of such “safety nets” provided through extortion of the populace to large corporations, one should avoid such scenarios. This is especially true in relation to the medical industry. Imagine, if you will, the disturbing scenario that would be possible if doctors were not held responsible for malpractice. The very threat of litigation for one’s negligence creates the incentive to act responsibly. However, a certain sect of the medical industry gets a pass — just like the banking cartels are deemed “too big to fail” so are the vaccine manufacturers. In 1988, largely due to vaccine makers lobbying the government to alleviate their responsibility, The National Vaccine Injury Compensation Program (NVICP) was established. After an uptick in lawsuits in the late 80’s, the vaccine manufacturers essentially held the government hostage and threatened to stop making vaccines unless the government took on responsibility for vaccine injury lawsuits — and NVICP did just that. You can actually prove that you or your child were harmed from a vaccine yet the vaccine maker is completely shielded from liability. Even if you are awarded monetary compensation through the NVICP, the taxpayers are put on the line, NOT the vaccine makers. 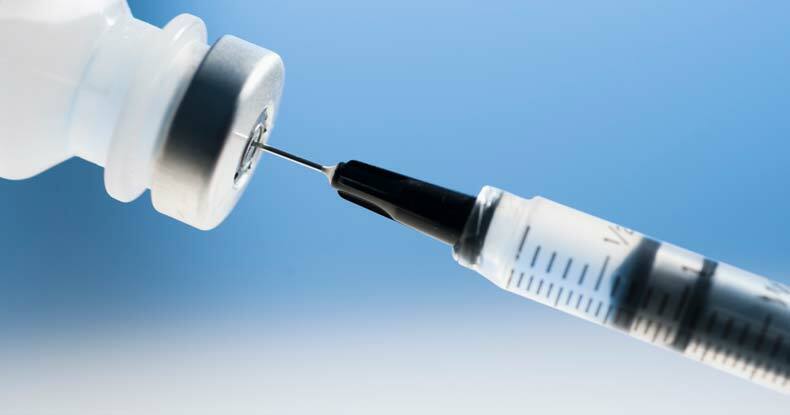 This removal of liability has created the incentive to turn out new vaccines with very little testing, as the companies don’t have to worry about financial hardships for injuring people, which in turn has shaped the situation that we find ourselves in today. In the last 2 decades, we’ve witnessed a near 300% increase in the number of CDC recommended vaccines. While we have everyone from attorneys to biologists, to political scientists who write for the Free Thought Project, none of us are doctors, so we do not make recommendations about what you and your family should do in regards to vaccination. The Vaccine Adverse Event Reporting System (VAERS) receives around 30,000 reports annually, with 13% classified as serious (e.g., associated with disability, hospitalization, life-threatening illness or death) according to the CDC VAERS Master Search Tool. Since its first year in action, NVICP has paid out $3,380,139,357.37 with $141,556,311.67 going to attorney’s fees, according to the latest report by the Health Resources and Service Administration. The last six years alone are responsible for 30 percent of all payouts, indicating a sharp increase in the amount of petitioner’s awards. Since 1988, over 17,028 petitions have been filed with the VICP. Over that 27 year time period, 14,602 petitions have been adjudicated, with 4,687 of those determined to be compensable, while 9,915 were dismissed. Total compensation paid over the life of the program is approximately $3.3 billion, according to HRSA. While vaccine injuries are particularly rare, the fact remains that they happen. Also, according to the CDC’s Advisory Committee on Immunization Practices (ACIP), the number of adverse reactions is underreported. Removing anyone or any company’s liability for their negligence has significant impacts on the way they will make decisions. Just like taxpayers are held responsible for police misconduct and nothing changes, when vaccine makers pass the buck to the taxpayer — again, nothing changes. If a corporation does not have to assess the risks associated with negligence, then that corporation will be incentivized to ultimately foster carelessness — this cause and effect of negative incentive is basic economics. The only way a vaccine maker can be held liable is if willful misconduct can be shown to have caused injury, meaning vaccine makers have to actually be caught knowingly causing harm. What this does is actually provides negative incentive to test a vaccine for safety, because if they are aware of problems before the vaccine is launched, then they could potentially be held liable instead of the taxpayers.